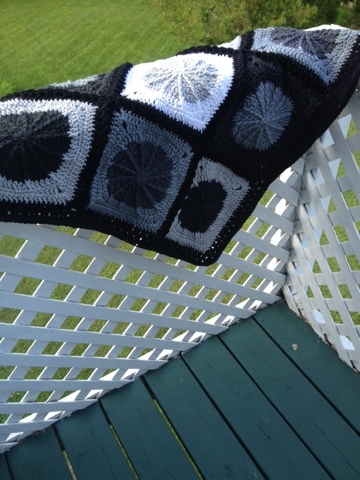 This past week, I kept busy by finishing two blanket projects. Neither were huge, but it still feels like a good accomplishment. My Monochrome Sunny Spread turned out quite lovely. I joined using a 2-dc cluster instead of my usual granny join. The border is 3 rounds of dc. 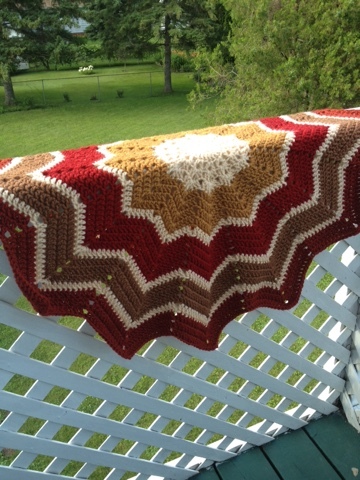 While not a large blanket, I am hoping the recipients will appreciate the effort that went into its creation. Finishing (and declaring finished) the round ripple was a bit more difficult. I really wanted to add a few more rounds, but it was really getting to the point where I wasn't enjoying it. This one measures about two feet across, so for a baby, it's a good size. This one is for my sister-in-law who is due in November. 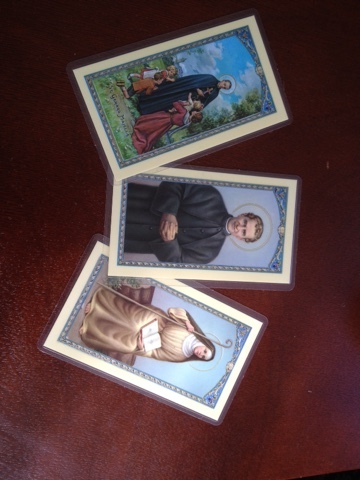 I'm including with the gift a set of prayer cards. beautiful blankets and I know she'll love them. I also love that you are including prayer cards!! I'd love that!